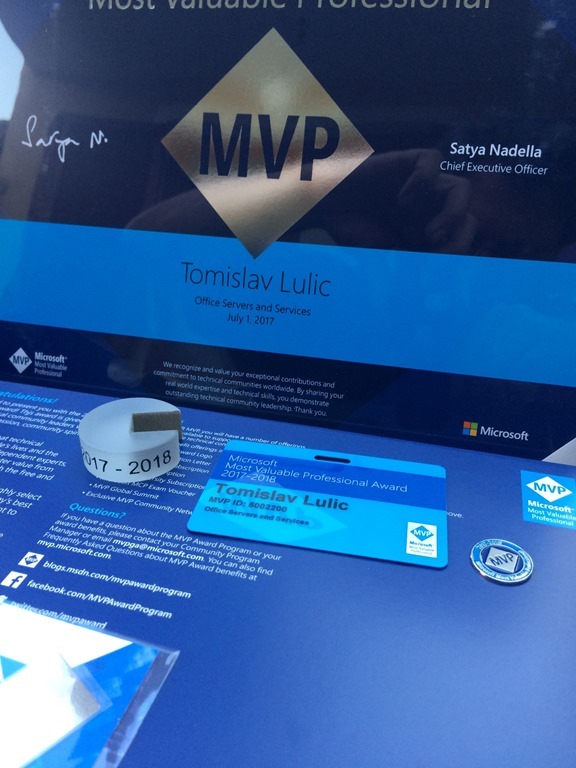 This year, I get Microsoft Most Valuable Professional (MVP) award for Office Servers and Services (Office 365) for the second time! This award motivates for even greater engagement in the Microsoft community as well as encourages for further learning and share knowledge. Thank friends, fellow community members and of course Microsoft colleagues.